Espiritu Santo Island Expedition is the dream vacation activity for an outdoor lover. 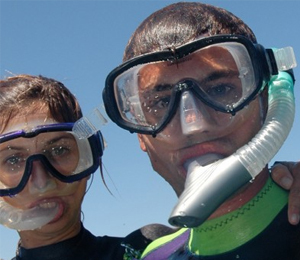 Snorkel with sea lions, explore the diverse wildlife of Cabo San Lucas, and taste the traditional local cuisine. On this adventure you will discover why Espiritu Santo Island is known as the "Jewel of the Sea of Cortez." We require a minimum of 4 passengers to run this tour. Maximum number of passengers is 10. Please call for most up-to-date availability. Please note that some walking/hiking is involved with this tour. I have been to the Bahamas many times, but Espiritu Santo Island Expedition is one of my favorite trips! It includes everything that everyone should do here. As a Bahamas veteran, I can say only the best about this experience!